The days of the giant government contracts are gone; the demand is for the specialized security providers — especially in the maritime sector. One of the barriers to entry is the industry standards that do not carry over from military or law enforcement training. This is the main reason that, while U.S.-trained personnel are the most sought after operators, they are not often employed in the maritime security industry. This is why we created the MSO training course. In order for maritime security professionals to conduct ship-borne operations and remain competitive across the international sector of maritime security professionals, the Coast Guard, IMO (International Maritime Organization) and other international maritime regulatory bodies require specific certifications. STCW-95 (Standards for Training, Certification, and Watch-keeping) is a minimum barrier to entry. This basic safety block of training is required by the signatories of the Safety of Life at Sea SOLAS convention. However, the maritime security space is not limited just to shipboard contracting opportunities. This is why we have included ISPS Code training and certification for three separate security officer roles, (International Ship and Port Facility Security Code) for Vessel/Company/Facility Security Officer. We also provide anti-piracy training which focuses on procedures identified in Best Management Practices 4 (BMP-4) and addresses the high risk regions like the Horn of Africa and Gulf of Guinea. Our training emphasizes the importance of reporting, emergency procedures, vessel hardening, citadel construction and crew preparedness. Students receive weapons proficiency and scenario-based training, including weapons handling procedures and metered escalation of force exercises. 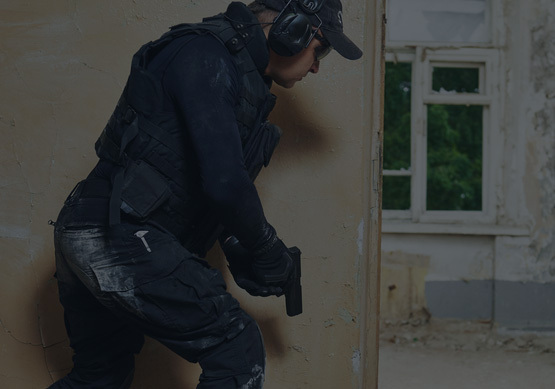 While American security contractors are generally recognized as some of the world's most knowledgeable and professional security service providers, few of them have the basic qualifications required to operate in the international maritime security domain. The good news is, thanks to the Elkins Marine Training International and Six Maritime training partnership, we are now able to offer training for our candidates at a lower cost to the student. Our training takes place in a military-style, team-building environment. Student meals, billeting, transportation, training equipment and study materials are all-inclusive. This special offer also affords graduates access to the Six Maritime security contractor database and preferred contract placement. Additionally, we are now able to receive students who qualify for Veterans Administration Vocational Rehabilitation & Employment benefits program. Our dedicated and knowledgeable staff are here to assist those with a VA disability rating of 10% or greater in obtaining program enrollment, retroactive induction, upfront funding or reimbursement for the training.